Engine bearings are one of the most vital components within an engine and are often overlooked when considering high performance upgrades. Performance engineered, multi-layer bearings generate less heat than normal bearings by reducing friction. 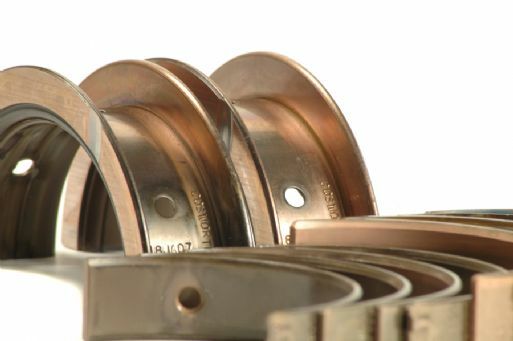 Cosworth Race bearing sets feature a unique combination of design, metallurgy and engineering to deliver performance in extreme conditions. Cosworth Race bearings sets are available in two sizes to accommodate most applications. Size 1bearings are a nominal standard size and are used for most applications. Size 2 bearings feature an additional .001inch clearance and should be used when extra clearance is required. Bearings are sold in sets only.